Investment opportunities in Tendring were promoted to government ministers and businesses at a Parliamentary event held on Wednesday, October 24. Hosted by district MPs Sir Bernard Jenkin and Giles Watling, and organised by Tendring District Council (TDC), it was a chance to showcase some of the great things already taking place in the area and the potential for more in the future. Around a theme of Tendring4Growth, the event focused on key areas such as offshore wind farms and the potential growth in the low carbon energy sector, tourism opportunities such as those surrounding Mayflower 400 and the Corbeau Seats Rally, housing growth and garden communities – in particular Jaywick Sands – and the development of skills to create a workforce capable of delivering future growth. The tourist economy is worth £372million to the Tendring economy annually, and is growing each year. Alongside flagship events such as the Clacton Airshow, which draws 250,000 people to the town every August, TDC is also keen to work with organisers of other events to bring them to the area. Examples include the Women’s Tour, the Tour of Britain, and the Corbeau Seats Rally Tendring & Clacton – the first rally to be held on public roads in England after a change in legislation – demonstrating TDC’s commitment to developing new events. TDC is also working with partners, including Visit Essex, to capitalise on the fantastic opportunity presented by the Mayflower 400 celebrations in 2020. Marking the 400th anniversary of the sailing of The Mayflower to America, Harwich – the home of The Mayflower – is gearing up to cater for tourists, particularly from the States, keen to learn more about their heritage. As part of the national Mayflower 400 Compact, TDC is working hard to make sure Harwich benefits not just in 2020 from this opportunity, but for years to come. 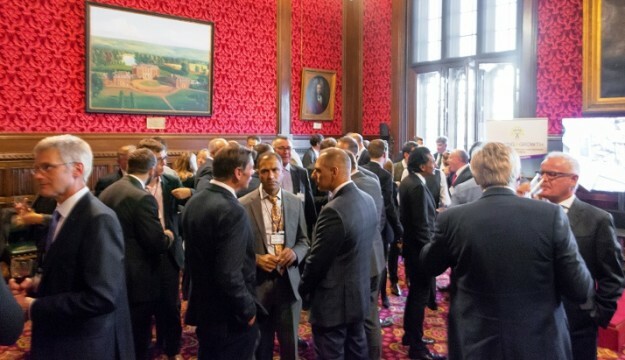 Held in the Strangers’ Dining Room in the Palace of Westminster, speakers included Natalie Elphicke OBE, chief executive of the Housing and Finance Institute, and Emma Tatlow from the national Mayflower 400 project, as well as the two MPs and TDC Leader Neil Stock OBE. The event, which also provided networking opportunities, was the launch of Tendring4Growth which will be continued by the Council as it continues to work to attract further investment and jobs into the area. Cllr Stock said it had been a fantastic way of shouting about what Tendring could offer. “There has already been a great amount of public and private sector investment in Tendring, from the Galloper Wind Farm operations and maintenance facility in Harwich to the £36million coastal defence scheme at Clacton,” Cllr Stock said. “But we don’t want to rest on our laurels. We need to continue to grow, and create the conditions for businesses to grow too, and Tendring4Growth is all about that – continuing to help those in our district and reaching out to those we think would do well in Tendring too. “The Tendring4Growth reception was also about setting out what we are doing, and what infrastructure investment would really unlock Tendring’s full potential. “As a council we are doing amazing and ambitious things – a view backed by the Local Government Association during its Peer Review earlier this year. What they recommended, and what we know, is that we need to shout about it more too, and that was another key reason for holding this reception. Feedback from businesses included that the event was “buzzing” and a great way to network with politicians and other firms.